This map shows the location of the Sat. afternoon picnic at Possibilities Retreat. 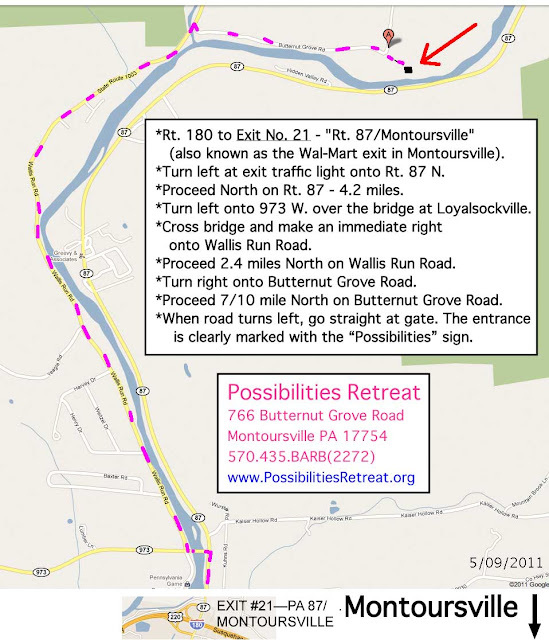 More detailed directions are also on the web page at PossibilitiesRetreat.org . To find this address on Google maps, use "766 Butternut Grove Road, Montoursville PA 17754". To Print It: If you want to print this map, click on it to open it full size, then save that image to your hard drive, then print it. 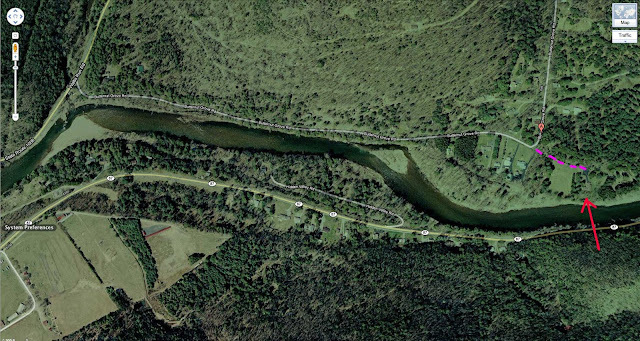 The below Google map shows a satellite view of the building itself.